Cala d’Hort. 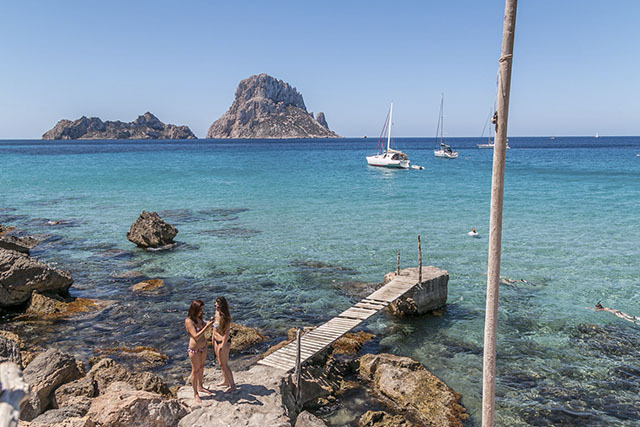 One of Ibiza’s most mythical and spectacular beaches. 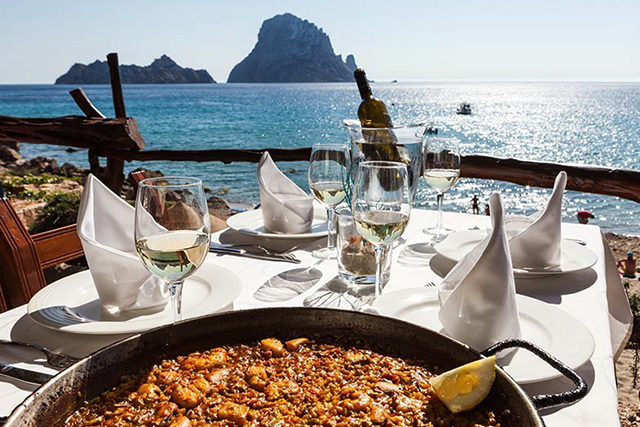 Cala d’Hort is synonymous with great food.. This amazing Ibizan beach is home to several restaurants where you can savour Mediterranean cuisine in all its splendour. From left to right, the first one we come across is Restaurante El Carmen, where they prepare some truly mouthwatering rice dishes with seafood. Next is Restaurante Cala d’Hort (better known as Ca na Vergera, in homage to the founding family), one of the simplest and most charming restaurants in the south of the island, with the signature dish being the fish stew known as guisat de peix. Simply spectacular. And last but definitely not least is the restaurant nestled above the fishing huts on the beach: Es Boldadó. An essential is the lobster stew. 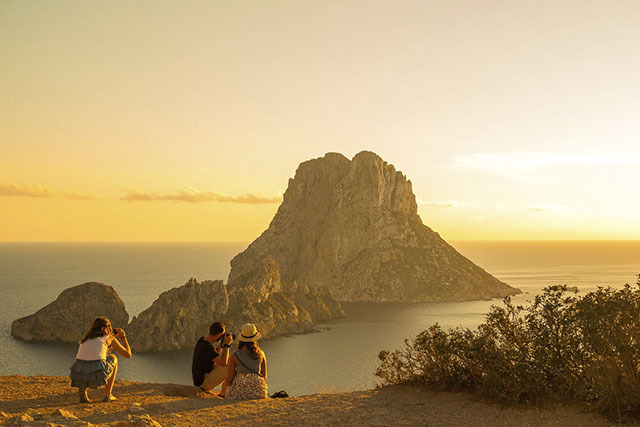 Es Vedrà and Es Vedranell, the leading couple of the beach. The islets are present from any corner of the beach and embellish the horizon like few other places in the world. 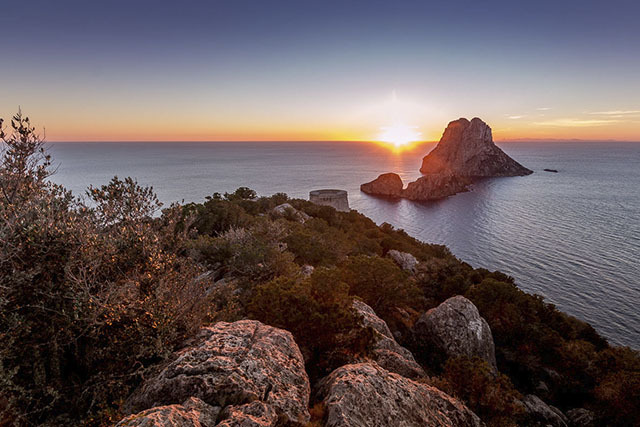 Es Vedrà has a height of 382 metres, with a quirky profile and imposing might that have aroused many legends over the years. Many people claim to have seen strange lights identified as UFOs or the legend of the “triangle of silence” between Mallorca, Alicante and Es Vedrà. Legends aside, we love to admire it and feel the peace that emanates in this beautiful place. 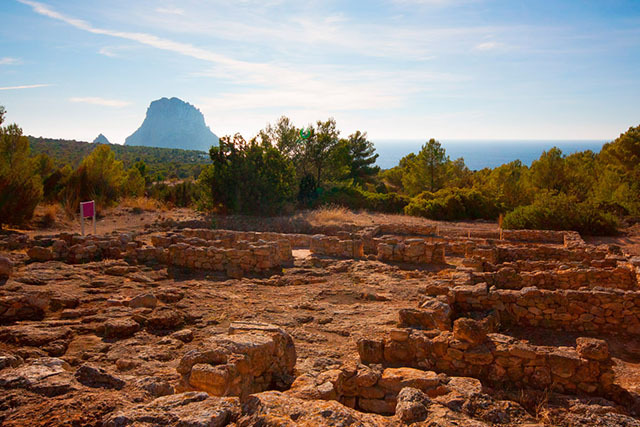 History of Ibiza: Ses Païsses de Cala d’Hort Just a few kilometres from the beach is an archaeological site of a rural settlement founded in the fifth century BC and which lasted until the eighth century AD. We can see how the Phoenician and Roman, and even Byzantine, populations of the era used to live. We can also find remains of two necropolises of Roman and Byzantine origin.